Let's suppose we want to change shot 2 as seen below. First we click on the shot (in this case shot 2) that we want to change. This will take us back one shot to the previous shot. 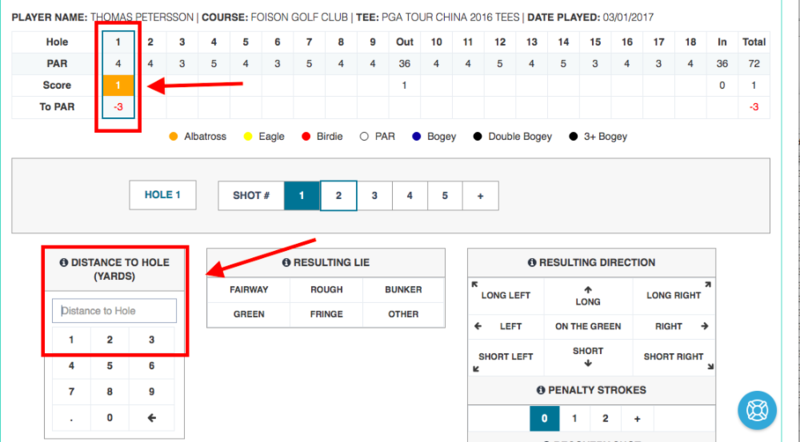 To delete it, we remove the "distance to hole" information for shot 2. 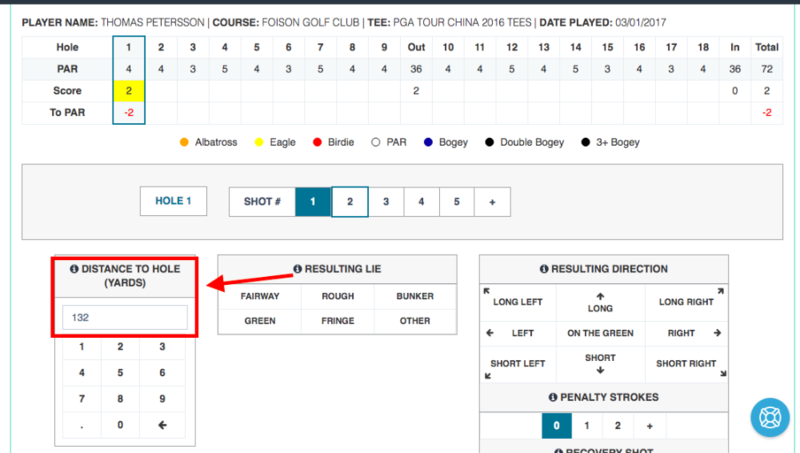 Then you can either choose to enter new shot information for shot 2, or click on the "next shot" or "go to next hole" buttons.